Glass: The highest quality glass available - ultra clear, strong, and durable glass that is both functional and beautiful, manufactured on site by our own expert craftsman. Hardware: Much higher caliber than your average "big box" shower enclosure. Finishing Touches: From the sweeps to keep your shower from leaking to the advanced ClearShield glass treatment, we make sure this is no average shower. We encourage you to come into our showrooms to see, touch, and feel the shower of your dreams. Once you see it, you'll definitely believe it - our quality cannot be beat. 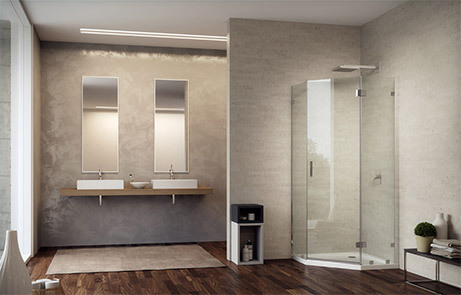 Shower Configurations – From the standard in-line showers to beautiful and functional corner/neo angle shower doors to a totally custom shape and size - we can find the right shower shape for you. 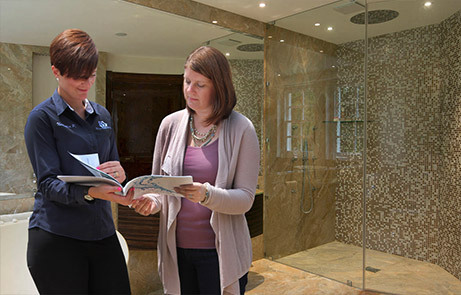 Glass Thickness – For most showers, you can choose a standard or premium grade glass shower - something you won't be able to get elsewhere. Glass Styles – We have them all – clear glass, low-iron glass, frosted and colored glass – in many combinations to suit your style. Hardware Finishes – Your style is as unique as you. Choose from a wide variety of hardware finishes to match your other fixtures in just the right way. Competitive Pricing – We control the costs, so we can pass that along to you. And, if you find a better price elsewhere, we will do everything we can to meet or beat it. Speed - We make the products right here, so we can complete your project much faster than other glass companies - and we can make sure the products are just right before they are installed in your home! Repairs - Chips, scratches or breaks – no worries! We can fix any unfortunate accidents quickly and easily. 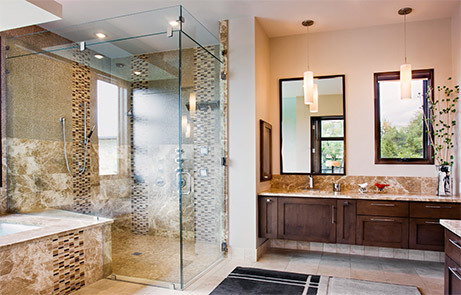 Warranty - Your Shower Warranty - We offer a comprehensive, straightforward three-year warranty on all glass shower doors sold and installed by Dulles Glass & Mirror technicians. Plus, if your hardware needs attention, you deal directly with us, and we do not point you to any third-party manufacturers. Read more about our warranty. Showroom – Staffed with industry experts, our two showrooms in the Washington, DC area allow you to not only see, touch, and feel the products, but talk to experts who will guide you through finding the right shower and options for you. Customer Service – We do it the old-fashioned way, putting you at the center of our service. We want to earn your repeat business, friendship and respect. The only way we know how to do this is to put you first. 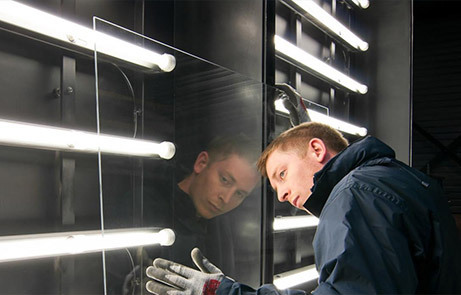 Installation – We offer white-glove installation by highly-trained glass experts. They install showers all day, every day. Dulles Glass is a fully insured and bonded Class A Licensed contractor, so we make sure you shower is installed correctly to spec and code. We leave your space looking great! We're one of the only places where you can get glass experts from the first step to the last. So what are you waiting for? Schedule an appointment today!